I just completed a testing round for the Willow Kimono pattern from Ann Grose of Designer Stitch Sewing Patterns located in Australia. The Willow Kimono is an effortless style worn over jeans and is equally as elegant for an evening dinner date. What I love the most about sewing the Willow Kimono was how easy it was to create, even though it looks complicated and intimidating. 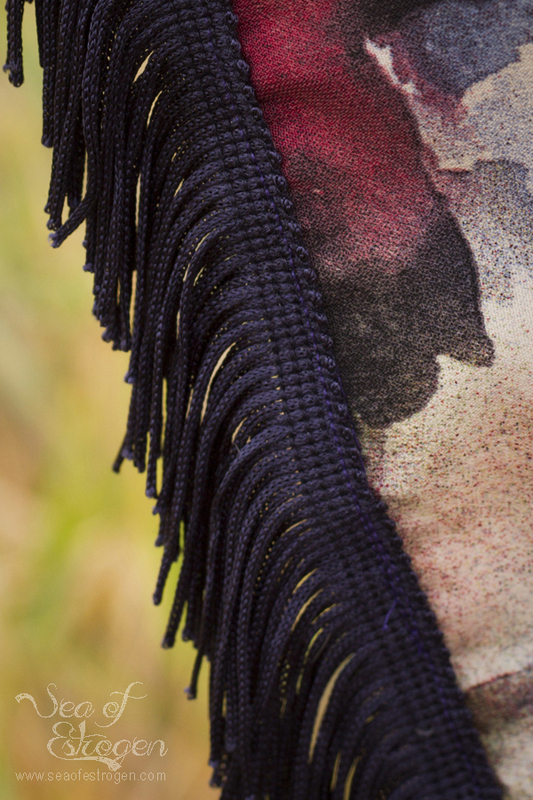 I have never sewn with fringe or other detailed embellishment, which is what made the pattern so intimidating. 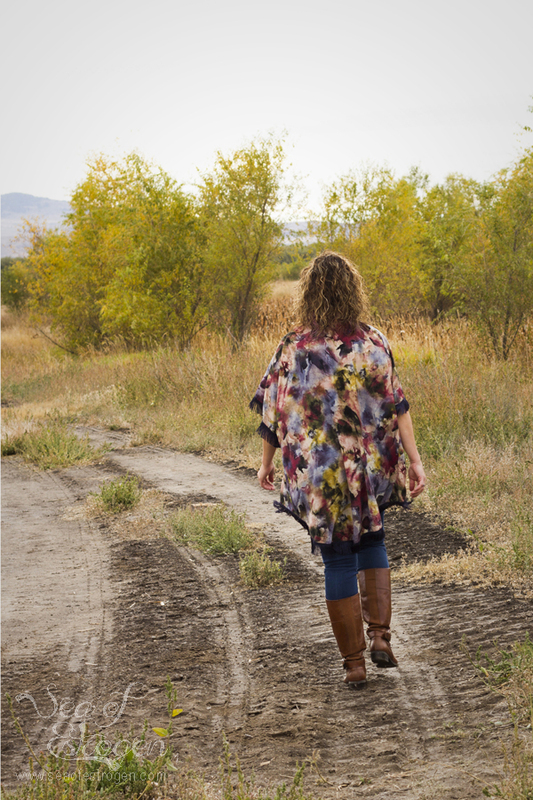 The Willow Kimono by Designer Stitch was my first experience. Ann’s instructions are clear, concise, and easy to follow, making construction a breeze! 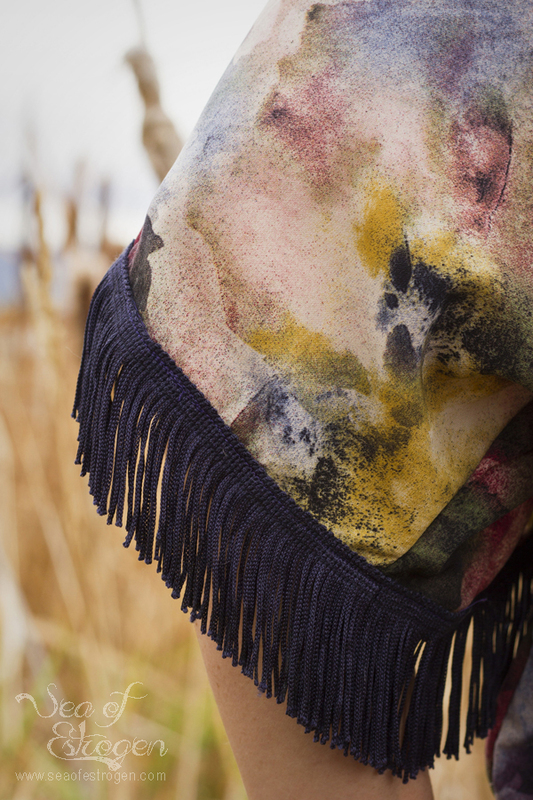 I used a lovely crepe, and I accessorized it with 2″ coordinating fringe. I added some topstitching along the collar for a final touch. 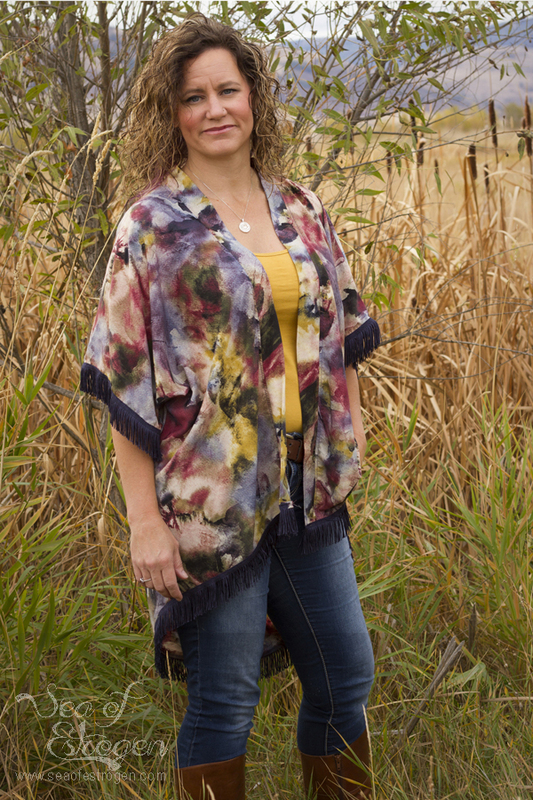 The Willow BOHO Kimono is on-trend and is a fabulous, easy wearing garment. Let your imagination go wild and use luscious silks, trims, lace and braids to make your own personalized Willow. It is an advanced beginner level pattern due to working with slippery fabrics and trimming and lace applications. 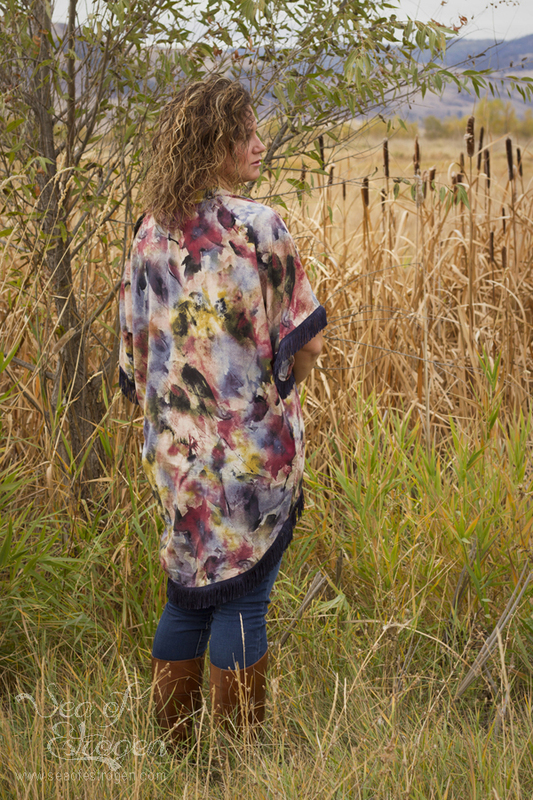 The Willow Kimono by Designer stitch is versatile and can be made from light weight cotton, cotton types, linens, silk, and georgette. 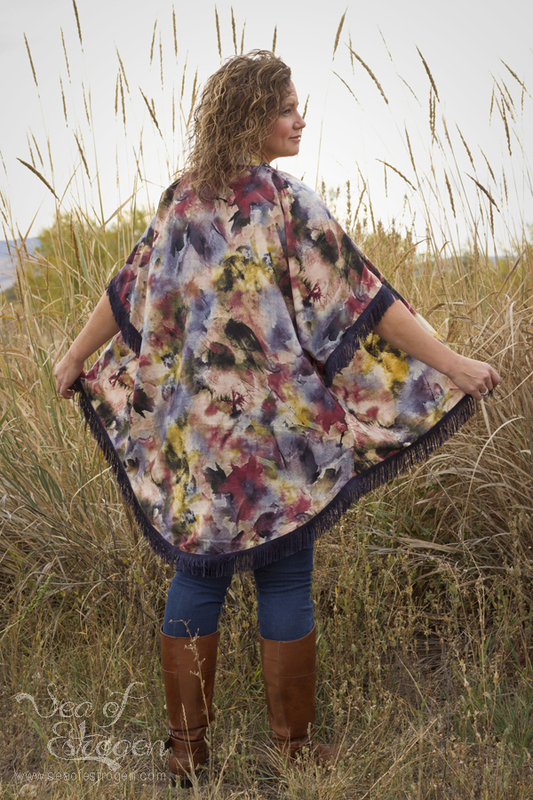 The Willow Kimono by Designer Stitch is a great pattern, and is an asset to any closet. The opportunity to create different versions make it a wardrobe must! Thanks for a great review! I’m telling you, your reviews and posts make me want to stop all of my other projects and start making apparel! Your pictures are awesome too. I love the feel of Fall in them. Your Kimono is gorgeous and I really like how it can go from casual to evening. 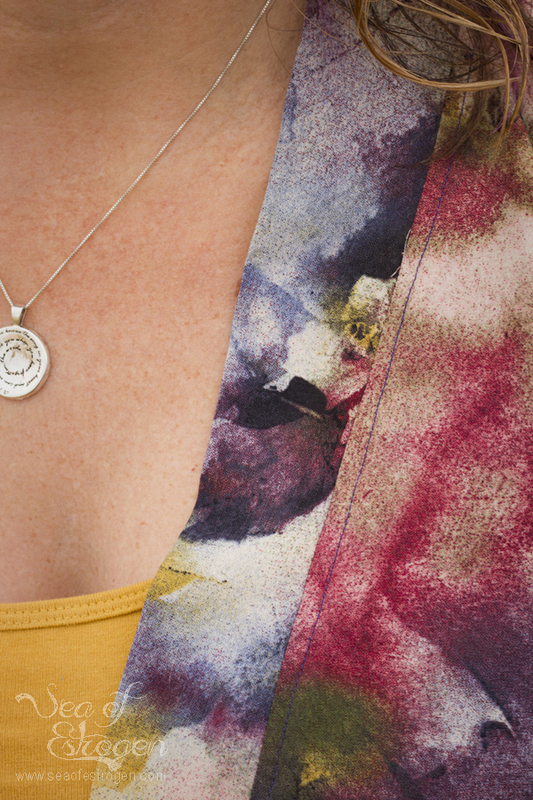 What a perfect piece to add to a wardrobe! Thank you so much! 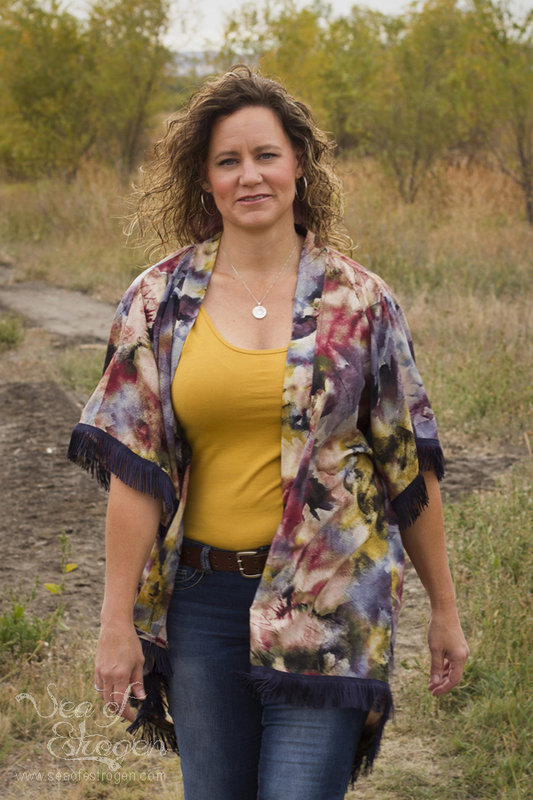 I had had to coerce Todd into taking the pictures for me, and I think he did a great job! I am excited about making a couple more! I think this is my first time visiting your blog. It looks great and has lots of neat stuff to check out. I love your blog’s name as well. 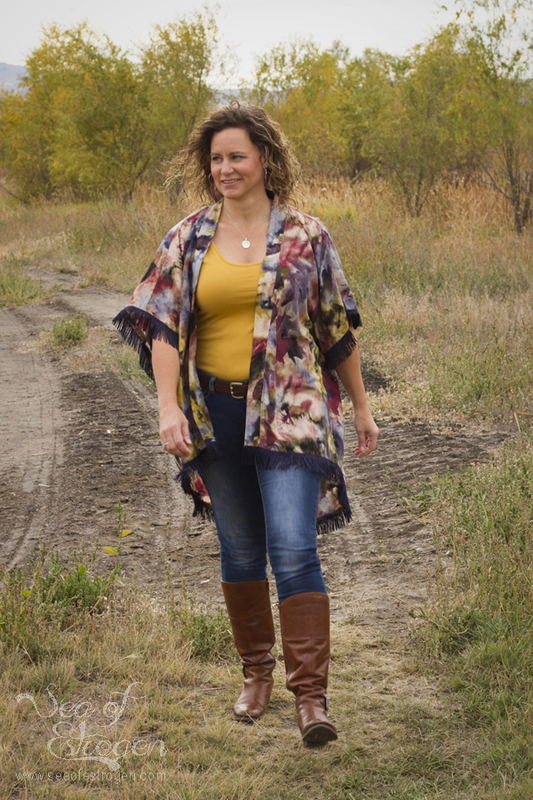 The kimono turned out lovely and looks like a fun sew with many ways to show off one’s creativity. Will have to check out this pattern as my girls would love it as well. Thanks for sharing and linking up with this week’s TGIFF. 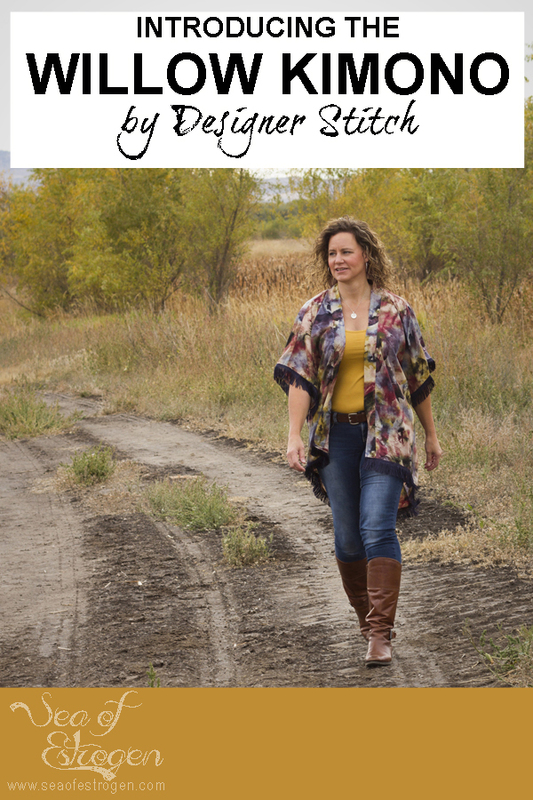 It’s funny, I started my blog as a way to keep in touch with family while we lived a long way away from each other, but it has since evolved into my way of relaxing and sharing what I love. The kimono is lovely. I’ve never sewn with fringe either…and it would intimidate me too. 🙂 It’s nice to know that the instructions were clear and concise. That makes a lot of difference when attempting something unfamiliar.